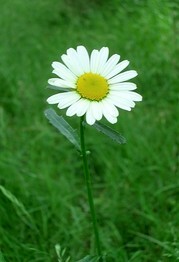 DAISY is an acronym for Digital Accessible Information SYstem. The original concept for DAISY was born from the need for accessible audio that could be used by individuals unable to read print, as easily and efficiently as a sighted person uses a printed book. The DAISY Consortium was formed in May, 1996 by talking-book libraries to lead the worldwide transition from analogue to Digital Talking Books. DAISY denotes the Digital Accessible Information System. Further information is available on the web site http://www.daisy.org. Our vision is that all published information is available to people with print disabilities, at the same time and at no greater cost, in an accessible, feature-rich, navigable format. The DAISY Consortium's mission is to develop the International Standard and implementation strategies for the production, exchange, and use of Digital Talking Books in both developed and developing countries, with special attention to integration with mainstream technology, to ensure access to information for people with print disabilities. At a very early point in the development of the DAISY standard, talking book readers from many countries were consulted regarding their reading requirements and their vision of a fully accessible audio book. Those who provided input made it very clear that analogue recordings did not meet their reading and information needs. Access to points within the books, awkwardness of the medium itself, sound quality plus numerous other issues indicated that producers of talking books had to begin the move to a digital platform. However, a digitally produced human voice talking book in itself would not resolve all of the issues, particularly the issues of accessibility and navigation from point to point within the book. DAISY DTBs (Digital Talking Books) do meet talking book reader requirements by providing access to the talking book that has never before been possible with a human voice production of a print book. There are different classes of DAISY DTBs starting from audio only or text only up to hybrid books that contain both the full audio and synchronised text. All these classes offer improved access and human voice delivery through links between the digital audio sound files and the marked up text files. It is these links that give the talking book reader access to the structure of the book, like chapters, pages or even paragraphs. The collection of these navigation points in the book is called the Navigation Control Centre or NCC. The NCC makes accessing the information in the book quick and easy. now required for all educational texts produced for state and local education agencies. Odt2daisy is an OpenOffice.org Writer extension, enabling to export in DAISY 3 format, including support of Mathematical content conforming to the MathML standard. DAISY is an NISO Z39.86 standard for blind, visual impaired, print-disabled, and learning-disabled people. Odt2DAISY is a free and open source software that can be downloaded at http://odt2daisy.sf.net. View more presentations from Scott Rains. View more documents from Scott Rains.